Welcome to the Spotter booth, sponsored by Envoc! Spotter is the customizable inspection app built by Envoc, an award-winning design and development firm focused on mobile apps, custom software, websites, and branding. With Spotter, a user can recreate any paper document (inspections, surveys, work orders, etc...) into an easy-to-use tablet form. Spotter is the only app capable of tying video, audio, photos, voice-to-text, GPS location, and eSignatures directly to form questions for more efficient data collection, analysis, and reporting. 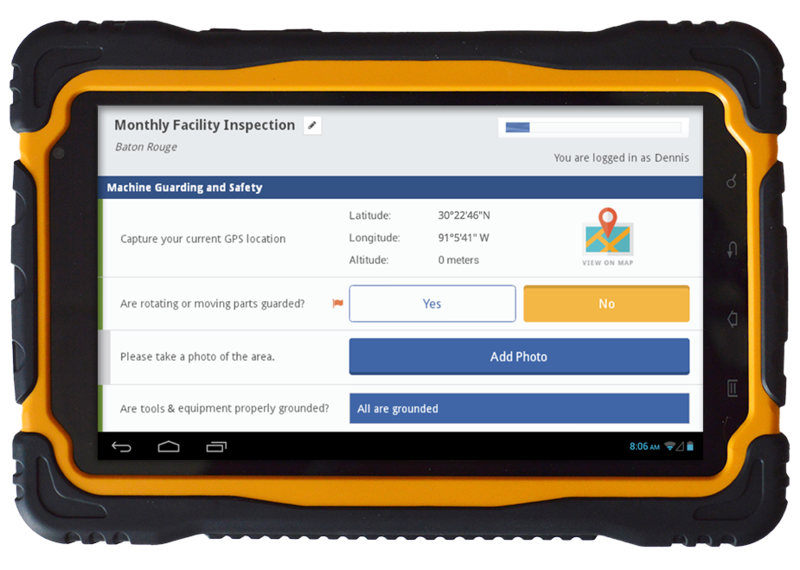 Spotter can be used in any industry or environment, online or offline; Envoc can even provide intrinsically-safe cases and tablets for those users in high-risk work-sites. At Envoc, we treat our clients as partners and listen to their feedback, regularly releasing new features that enhance the user experience. Contact us today to try Spotter yourself and see how it can improve your business - spotterinspectionapp.com.